Was this proposal five years in the making? Not quite. 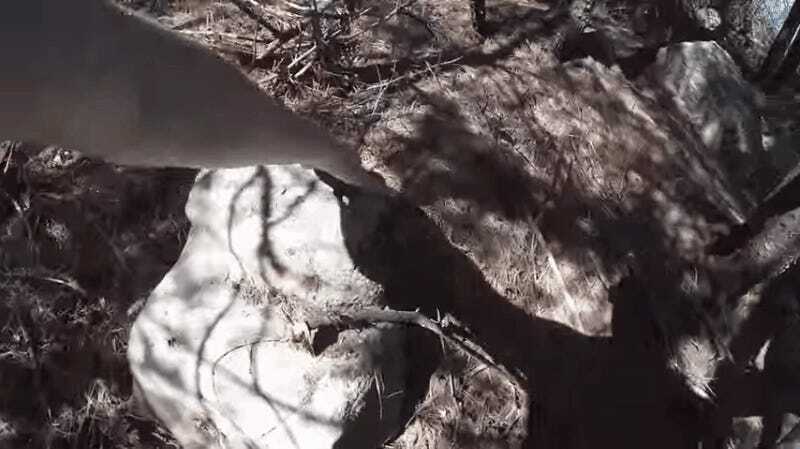 The couple returned to the campsite this past June to look for their time capsule, but Reddington snuck out in the middle of the night to find it first. Around 3 am, he discovered the jar and replaced it with his proposal letter. Storrar was reportedly upset initially, when they dug up the jar and saw that it was empty except for a letter. She had assumed that someone had stolen the cellphone and other mementos they had placed inside. This was a reasonable assumption, as any time capsule nerd knows. Many time capsules around the world are lost and stolen, and most thieves aren’t polite enough to leave the container behind. Singapore currently has a $50,000 reward offered for a time capsule buried in 1970 that’s believed to have been stolen. It’s incredibly common. But this capsule wasn’t stolen. It was tampered with by Storrar’s now-fiancé (spoiler alert). Reddington said that he got the idea to make the time capsule proposal after the capsule had been in the ground for about three years. When the moment came two years later, Reddington removed the rock that marked where the two had buried the capsule and Storrar started digging. But she was confused and disappointed when she found a peanut butter jar with just a note. She opened it up as Reddington looked on. And pretty soon she figured it out. The note said “Will you marry me?” and Reddington emerged with a ring. Shocked, Storrar put her hand over her mouth, and said yes. “How did you do that?” Storrar asked. Reddington edited a video about his proposal that he posted to YouTube. Yes, it’s a bit cheesy in the way that all love posted online for the world to see can be cheesy. But we can’t begrudge the happy couple their time capsule engagement—even with our hearts of stone. Is it possible these people are staging this whole thing for some ulterior motive? For sure. Is there any way to verify their story and ensure that it wasn’t all staged without actually being at the island on the day it took place? Not in any way that I’ve figured out. Reddington told CTV that they plan to get married in “two to three years.” So I guess we’re just going to have to trust them on this one. Best of luck, you adorable Canucks. And we hope this isn’t some dumb viral stunt for peanut butter or something.